Change hasn't been a bad thing for Yaneck and Sasha Wasiek. In 2008, Yaneck, an IT consultant, formed WASIO Photography, which Sasha joined in 2011. In 2016, Yaneck left his 10-year career in the consulting world and, with Sasha, went full time as professional photographers. They expanded their brand in 2015 and again in 2017. Then in 2017, they moved WASIO from Chicago to San Diego and are already fixtures in southern California photography, as well as the national photo scene. 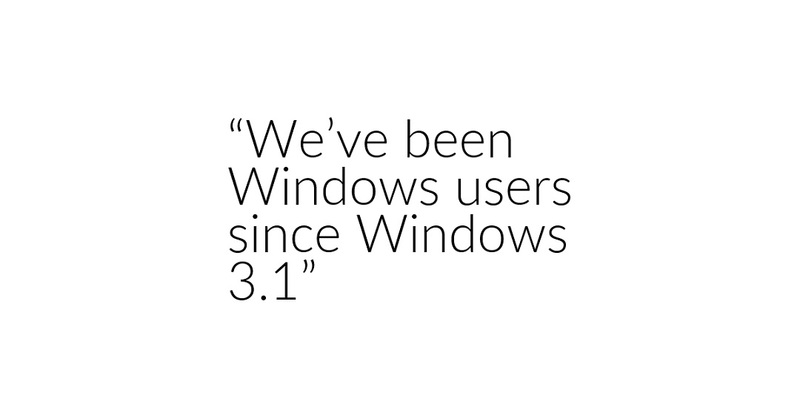 Amid these major life changes, one thing that hasn’t changed is their devotion to Windows. All of Yaneck’s 10-year consulting career was working with Windows and all the computers running at WASIO run only Windows. 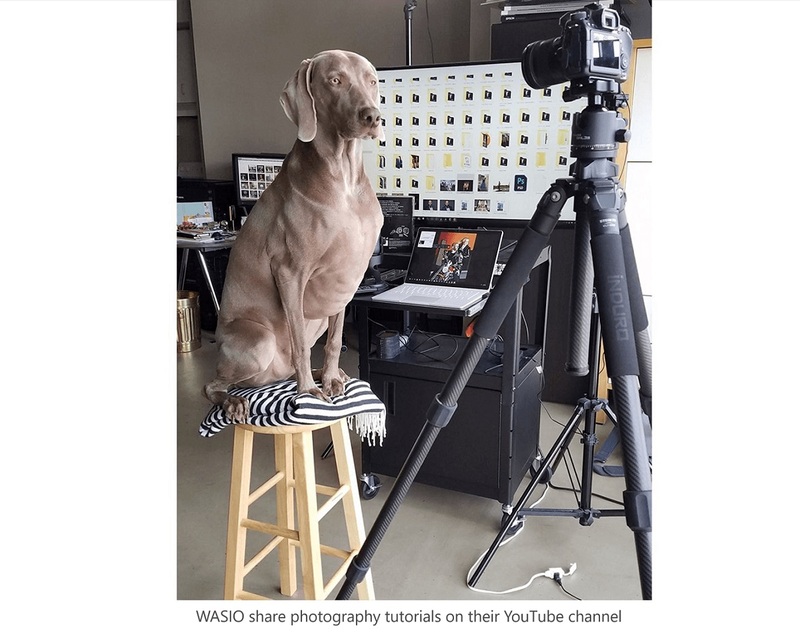 With professional photography now almost entirely digital, WASIO’s computer needs are more than just for scheduling and accounting. As an example, consider their gig at the American Society of Mass Spectrometry (ASMS) annual conference earlier in 2018. As more than 250 people per day filed through the “Headshot Booth by WASIO Faces”, Yaneck shot a few headshots of each person. 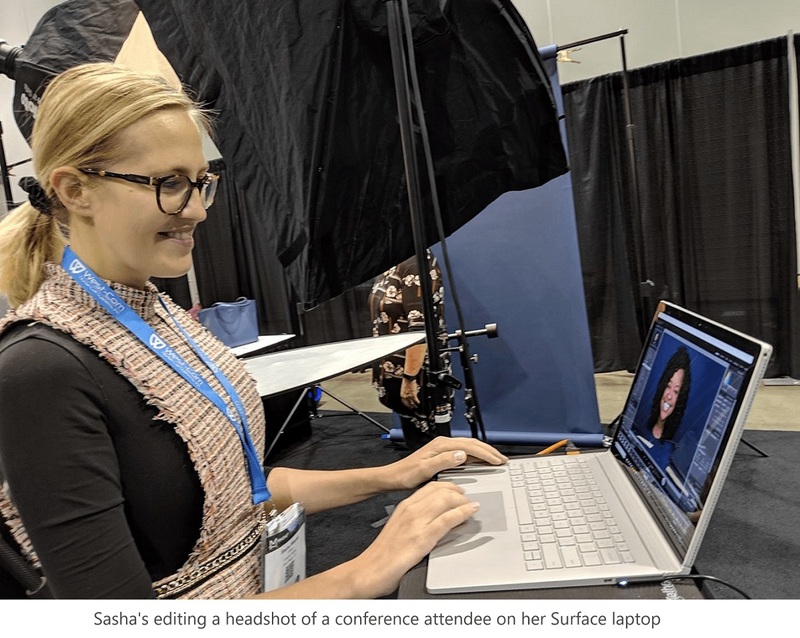 The almost 2,500 shots taken each day were loaded into an online gallery, where conference attendees could download them and order detailed retouches. In the evening, Yaneck took the laptop holding the day’s images to his home studio, where he and Sasha use desktop workstations to sort, select, and process them. They repeated the process for each day of the three-day conference, for a total of 6,200 pictures taken of more than 750 people. A professional operation like this, involving such important, complex digital files as photos from sophisticated cameras, and with such time-sensitive, quick deadlines, surely must require a specialty computer system made just for photography. But everything about WASIO runs entirely on Windows 10. The laptop collecting each image is a Surface Book and Surface Pro, and the two photo-editing workstations, built by Yaneck and running the complex, specialty photo editing and manipulation apps WASIO needs, each use Windows 10. 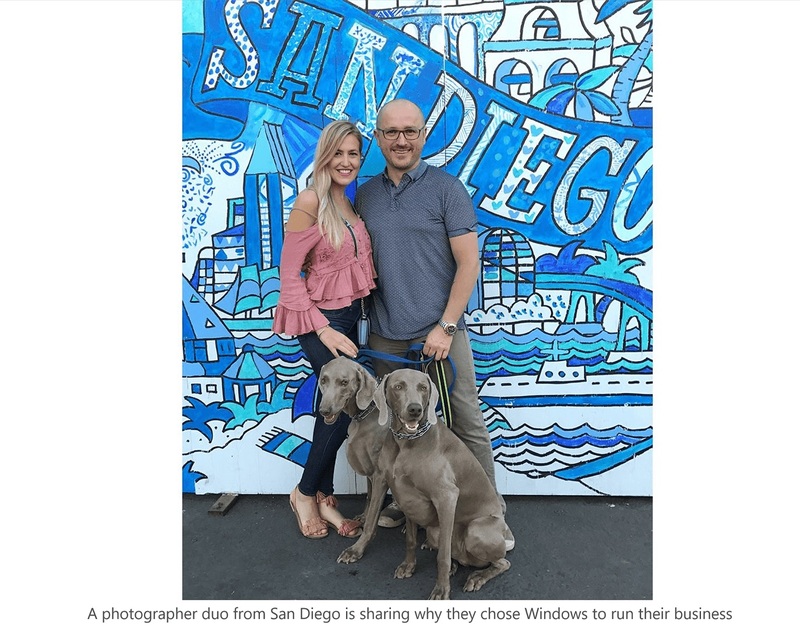 The ASMS event was big, but not uncommon for San Diego-based WASIO, which photographs numerous conferences and events every year as well as private sittings and functions such as wedding and engagements. It also offers WASIO Faces for portrait and headshot photography and WASIO Master Print, for fine art editing and printing for other photographers. Even after the dramatic shift from Chicago to San Diego – as well as the early 2018 birth of their daughter, Savannah – accolades have rolled in for the couple, known together in photography circles as the WASIOs. Sasha was named Most Talented Photographer of the Year by Magic Lens Awards and Yaneck won the 2018 Portrait Photographer of the Year by Professional Photographers of San Diego County (PPSDC). After winning that award Yaneck became PPSDC’s vice president of Competitions. WASIO's work has been featured in RangeFinder magazine, Canon calendar and social media, and both Yaneck and Sasha have won numerous awards from Professional Photographers of America (PPA) and WPPI. They’ve been featured in podcasts and have written for industry publications. Yaneck often teaches other photographers, through private workshops or events sponsored by companies the WASIOs have relationships with. They also have a YouTube channel where they share their photography knowledge. And everything WASIO does is driven on six Windows computers. That includes financing and scheduling, which Yaneck does, as well as social media and content creation, which Sasha runs, all on Microsoft Office or other Microsoft Store apps. But Windows also drives the photography action, which demands specialty apps designed for professional photography use. The two Surface Books are “tethered” to the camera, both in the studio and in the field, to capture the photos as they’re taken. The WASIOs use the Surface Book to edit photos when they’re traveling. 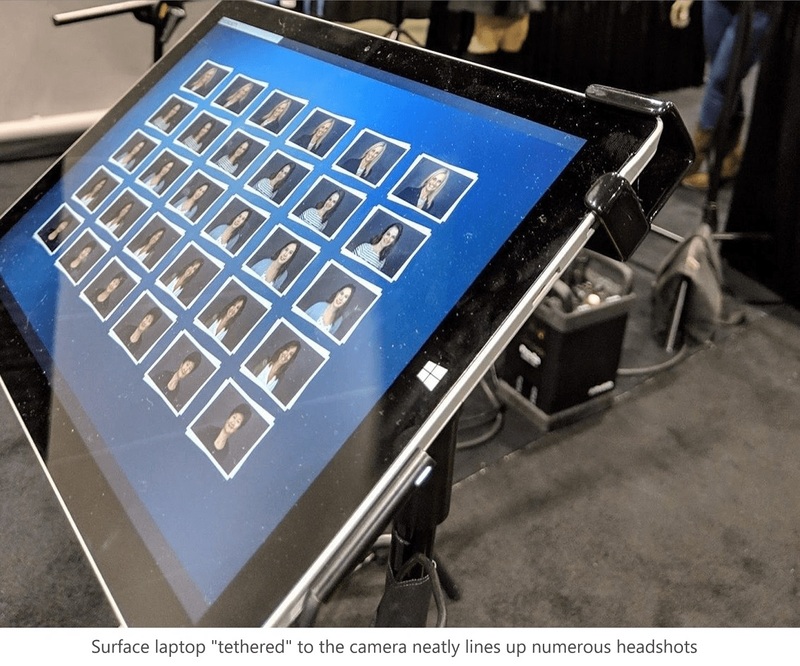 They also use two Surface Pro devices, primarily at events, to drive kiosks where people photographed by WASIO at the event can view and share pictures. They also appreciate that their Surface devices are more than just laptops. The pen especially comes in handy for photo editing during travel. 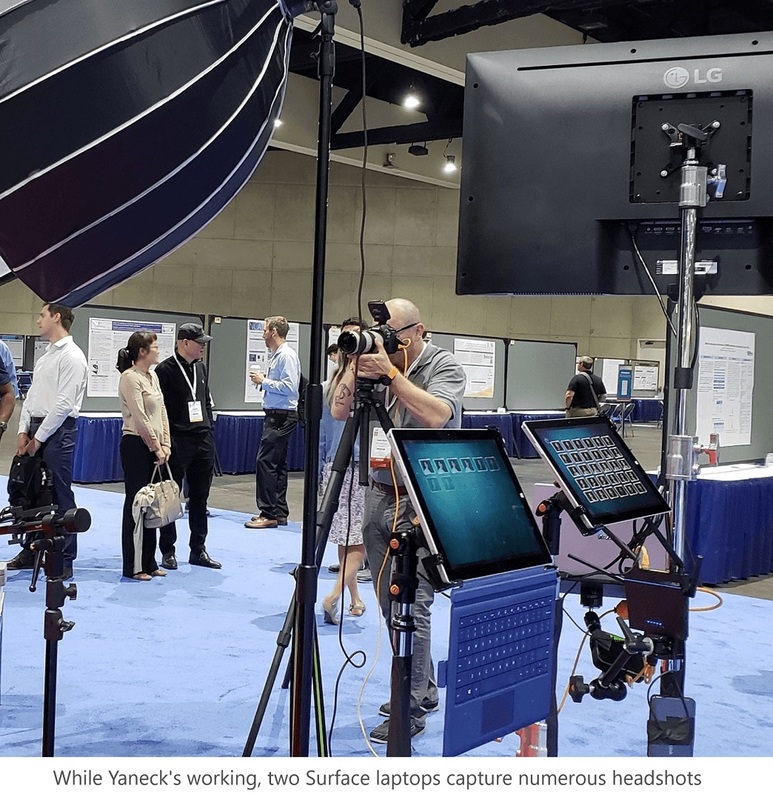 While the Surface devices are capable of editing photos, for fast and full-powered editing – especially of big jobs such as conferences – the WASIOs use the power-packed workstations Yaneck built himself. These are desktop-style computers, loaded with processing power, hard drive and storage space, and all the specialty software apps the WASIOs need. They’re connected to monitors the size of big-screen TVs, so they can edit pictures almost down to the pixel. The engine driving both workstations is Windows 10. Yaneck’s history does help him build high-end Windows systems. Before founding WASIO with Sasha, he worked as a program manager for a Microsoft partner company, where he developed software solutions to businesses’ problems. He held certifications as a programmer with several Microsoft technologies. The familiarity and ease of use meant Windows has run the WASIO computers since it was born in 2008. 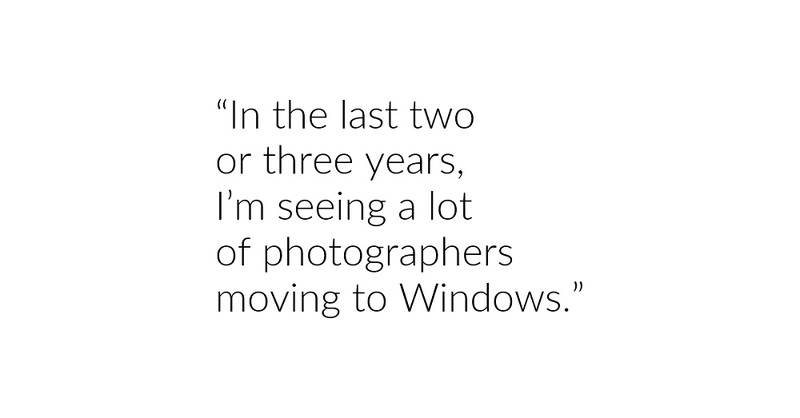 Running fully on Windows may still put WASIO in the minority in the professional photography field –some years ago, they did shift to the system most digital photographers and artists use. Yaneck said it was less intuitive and lower-performing than Windows, and within a year, he went back to Windows. WASIO’s example illustrates Windows’ capabilities for handling a complex photography business operation. If you’re an established or aspiring photographer, please feel free to share your own ideas and experience using Windows for your craft.